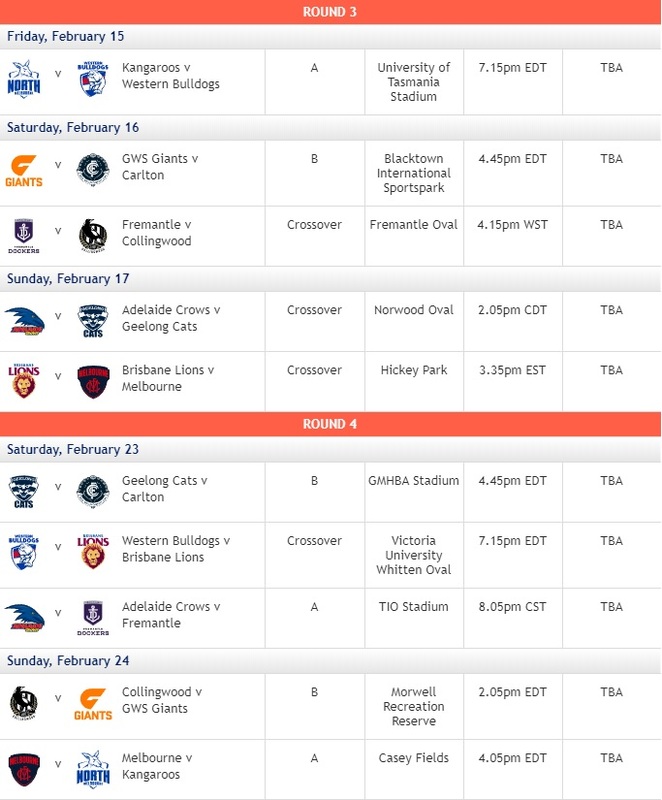 The 2019 AFLW season is fast approaching and this year marks the first of a two season plan which will see six new teams enter the competition! 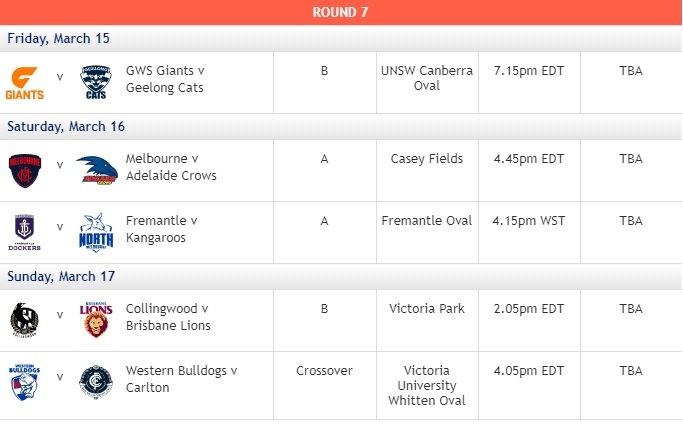 North Melbourne and Geelong will make their debuts in the AFLW this season and with the new teams will come a new format, consising of two conferences which will compete over nine rounds of play to decide the finalists! 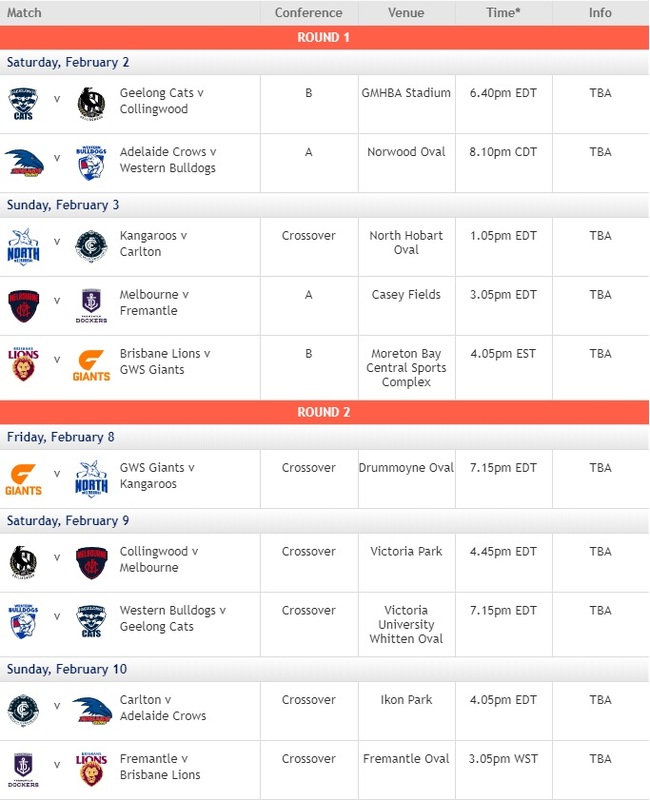 You can check out the full 2019 AFLW schedule below! 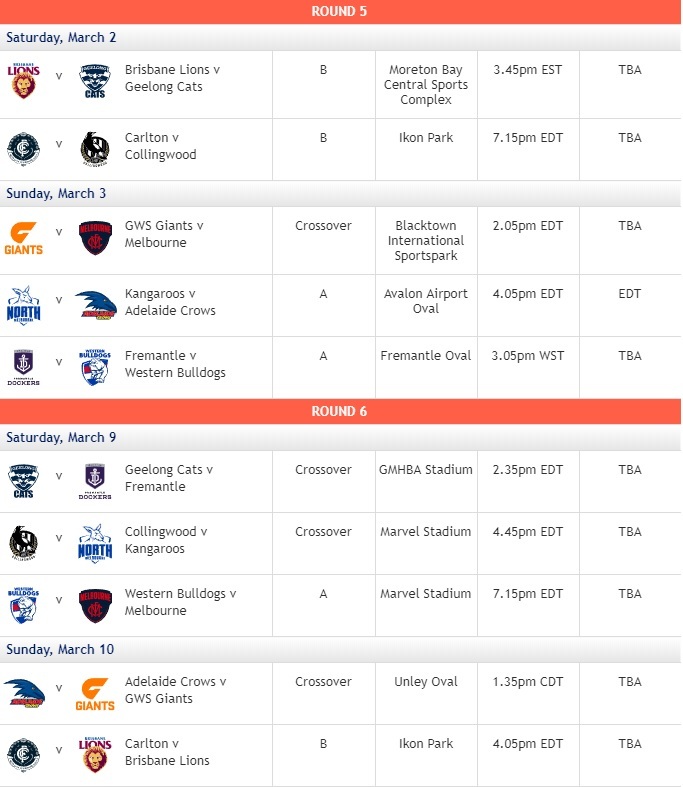 Note: The 2019 season will be played under a conference system, with the 10 teams divided into two groups of five. Teams will play the four other teams in their own conference, plus three teams from the other conference in a 'weighted' arrangement. The format will allow for one of the three so-called 'crossover' games to be based on a rivalry.